D-RAILED is a suspense thriller starring veteran actor Lance Henriksen (ALIENS and The Terminator), international actor Frank Lammers (The Admiral), Shae Smolik (The Sandman), Carter Scott and Everette Wallin. 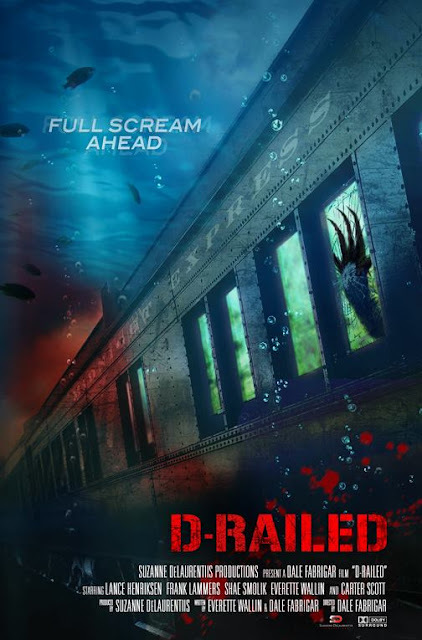 Pascal Borno (Conquistador Entertainment) and Suzanne DeLaurentiis (Suzanne DeLaurentiis Productions) team up once again to bring you D-RAILED. When a train derails into the river, its surviving passengers are faced with a grim challenge….die in the wreckage or face the unknown that awaits them in the murky waters below. “I was thrilled to partner up with Pascal again, as we had great success together in the past,” said DeLaurentiis. Some of Suzanne DeLaurentiis credits include 10th & Wolf, Area 407, The Dark Tourist, A Month Of Sundays and How Sweet It Is.